Pre-workoutHi Tec Vasofusion - 240 kaps. Hi Tec Vasofusion - 240 kaps. 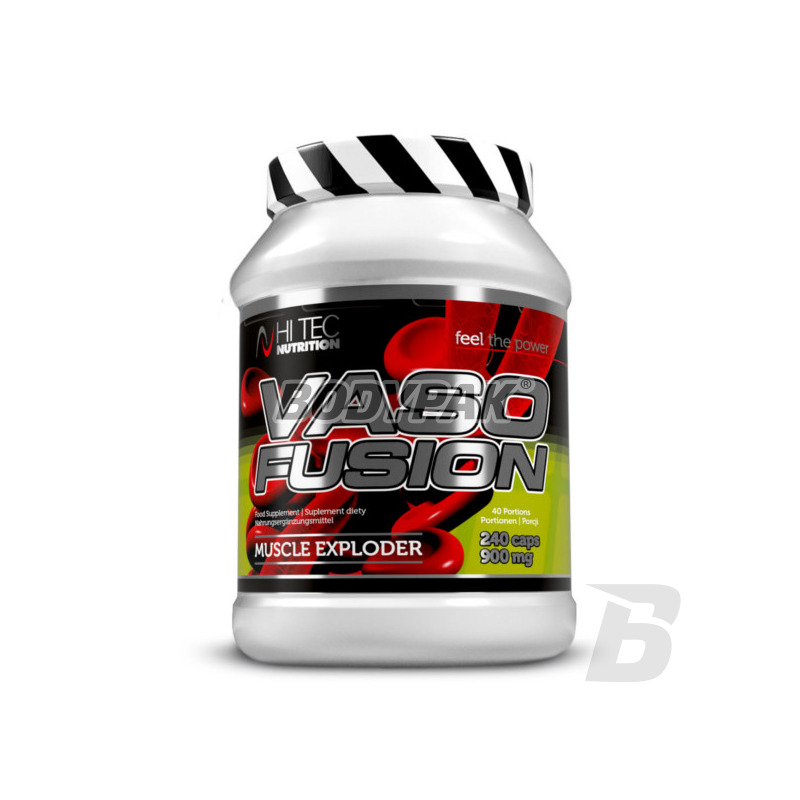 Vaso Fusion is the strongest in the market pacemaker synthesis of nitric oxide (NO) in the body. 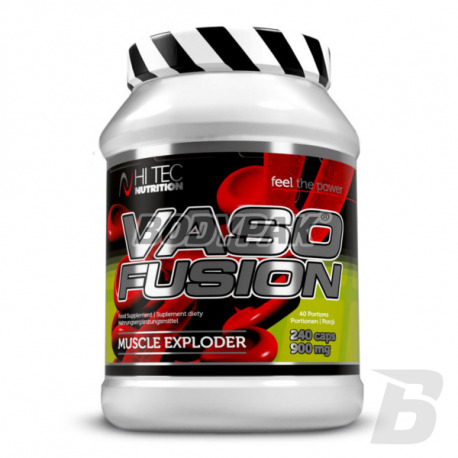 Hi Tec VasoFusion is the strongest in the market pacemaker synthesis of nitric oxide (NO) in the body. It provides a powerful dose of arginine, the precursor synthesis of arginine, such as citrulline, ornithine, alpha ketoglutarate VasoFusion contains a very interesting physiologically active dipeptide (combination of arginine with pyroglutamic acid) piroglutarginę, which is an effective alternative to anabolic pharmacological applied green tea extract and rutin limit the negative effects of free radicals and deactivation of nitric oxide and directly stimulate the synthesis of nitric oxide. VasoFusion is an excellent supplement for athletes who want to feel the strong muscles pumped blood, increase muscle strength and endurance during training.